The interior courtyard was slick with moss. And the parts that weren’t mossy were covered up with shade-loving plants. Even though the sun was shining when we were there, the place felt dank. 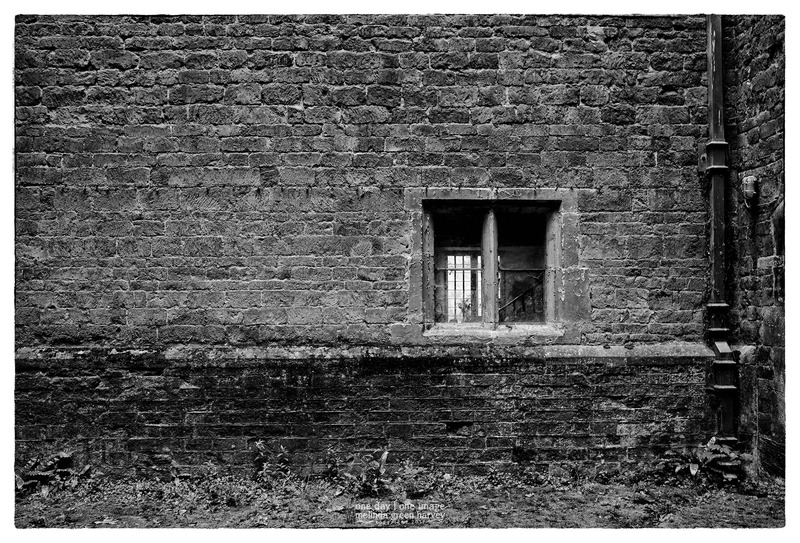 Posted on July 2, 2017, in Photography and tagged 365 photo project, architecture, black and white photography, Chastleton House, damb, england, Leica, melinda green harvey, monochrome, Moreton-in-Marsh, national trust, one day one image, photo a day, photography, postaday, thoughtful seeing. Bookmark the permalink. Leave a comment.